Ashfaq Bhojani is an experienced professional with experience in Operations Management including Facilities, Administration, Travel, Hospitality & HR across industries such as IT/ITES, Healthcare & Hospitality. 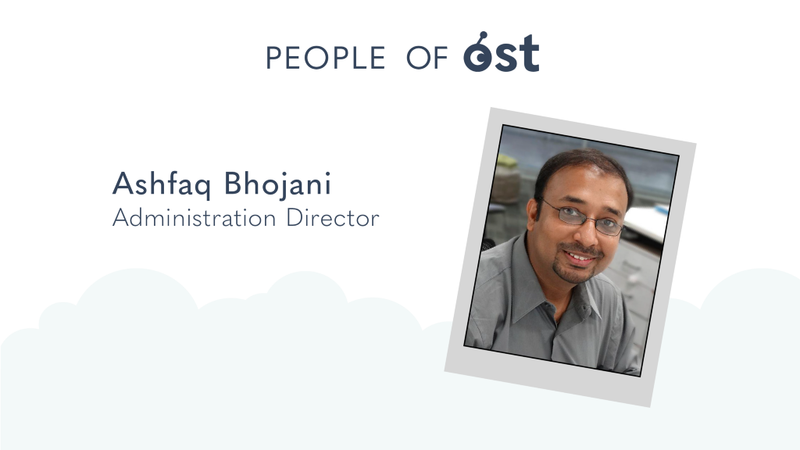 With his expertise, experience & energy, Ashfaq provides strategic & tactical support critical to ensure smooth OST business operations. I work out of the Pune office in India and have been with the company for the last 6 years now. I have my family living out of Mumbai whereas I’m in Pune and travel every weekend to Mumbai covering a distance of 100 odd miles to make sure I spend the weekend with them. I spend Monday to Friday in Pune and back again to Mumbai on Friday evenings. I’ve been born and raised up in Mumbai where I completed my education. I’ve worked with the Healthcare & Hospitality industries post which I’ve been in the IT / ITES sector. I love to drive, that’s why I’m always super excited to hit the road every weekend for the 100 odd mile drive to my family. It usually takes around 3 hours and that’s where I have my ME time. The max I’ve driven at a stretch here in India is about 13 hrs covering ~500 miles over 3 states.